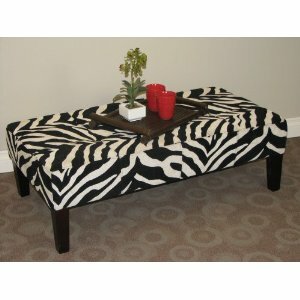 This beautifully made Zebra print coffee table is an attractive addition for any room. The rich zebra fabric and tufted top adds style to this unit. The 4 tapered wooden legs are stained in an espresso finish. Constructed of a wood frame and fabric.